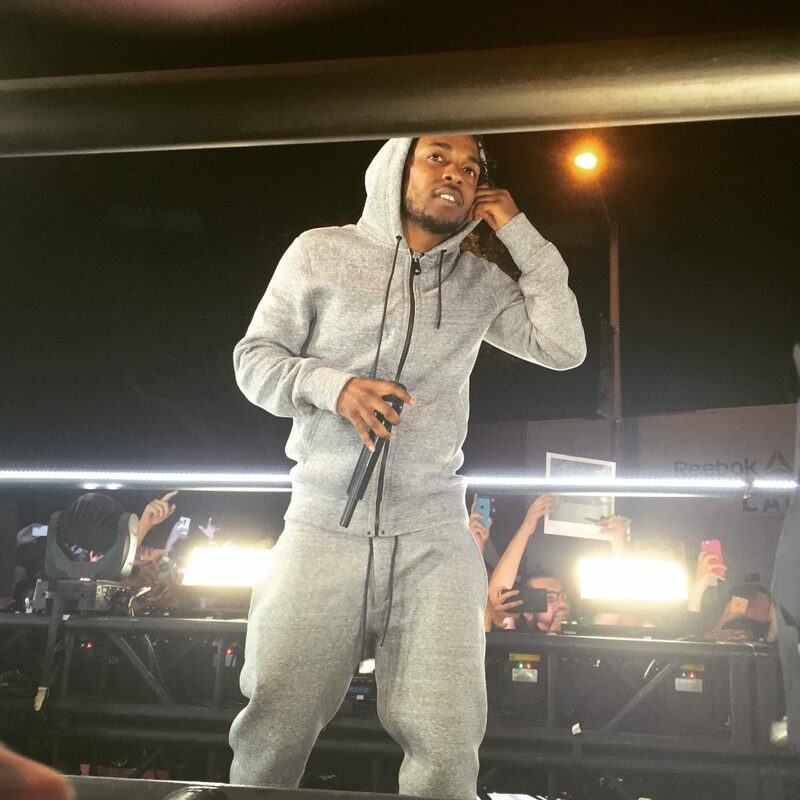 Kendrick Lamar performing a surprise show for fans on Melrose Avenue in 2015. The long awaited and properly hyped Marvel blockbuster “Black Panther” broke opening weekend box office records upon its release on Feb. 16. It comes as no surprise that the hottest record label in hip-hop since Death Row, would take on the task of producing the soundtrack to a film that is set to have a lasting impact on popular culture. Although he appears on a majority of the songs, some in a supporting role, this is not a Kendrick Lamar only album. The soundtrack features other musicians as well, most of whom work closely with Lamar and his team, including SZA, ScHoolBoy Q, Jay Rock, Future, The Weeknd, Vince Staples, James Blake, Travis Scott and more. Although this is not the actual score for the Black Panther film (Ludwig Gӧransson, who produced Childish Gambino’s “Redbone” took the reigns for that task), Lamar and Tiffith took inspiration from scenes of the blockbuster. In the introduction track of the album, Lamar is rapping as the role of protagonist T’Challa, while on the song “King’s Dead” he takes the form of antagonist Kilmonger. Lamar earned a combined thirteen Grammy nominations and also held the top two spots on the Billboard Hot 100 simultaneously. They released a string of aesthetically pleasing and deep-rooted music videos, as well as performed for two sold-out tours in promotion of their albums. Top Dawg Entertainment has taken over the narrative of what it means to be a record label that does what they want, when they want, unapologetically. They have found the formula to be 100% themselves in a market that thrives off trying to duplicate popular trends. “Black Panther: The Album” has been out for less than a week, but the sound of the album and the conversation that comes with it will last for years to come. And you can thank Kung Fu Kenny and the rest of the champions at Top Dawg Entertainment for coming up with their own formula for that.